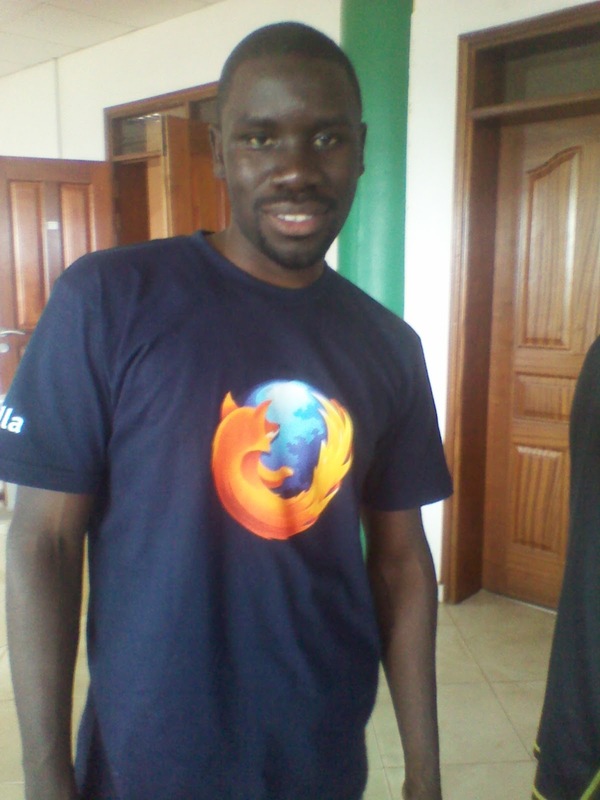 Mozilla is a global community of people that are passionate about the open web. The foundation and the community around it are well known for giving us what you probably could be using to read this post – the Firefox open-source web browser. Firefox is a sensational project born out of the desire for a fast and open web at a time when Microsoft with internet explorer held the master key to web( and bullied everyone). Today, Firefox is one of the most used web browsers world over. More so, it ushers in a whole lot of innovation in making the web fast and accessible to everyone on the planet. At an event marking Mozilla Uganda communities anniversary held on Saturday 27th October , I caught-up with San James the Communities leader to share with me what their passion and motivation was. Already the popular browser is translated in two local languages, Luganda and Acholi and other languages will soon have their own translations too. According to San, localizing the browser creates a whole new untapped audience and creates a sort of user-engagement that could not be possible through the standard English versions. By for instance localizing some elements of the user interface by defining or using icons that look and feel “African”, the user experiences a connection with the browser that they can easily identify with. This concept is not new as there’re already translations with the software in languages specific to particular countries. For example, there’s Firefox in Swahili, Chinese, Japanese, Korean, afrikanna, Russian, Spanish. As a matter of fact, there’re already about 50 Firefox translations. I also spoke to San about the need to not just translate the Software, but also the real content that web visitors view when they open a web page like say Wikipedia. Already there’re automatic translation tools like Google’s Google translator product that translates a whole web page with just a click of button. However, this is limited to specific languages none of which includes local languages spoken here(with the exception of Swahili). The translation of local languages would require some inter-lingual dictionaries and some Artificial Intelligence to pull off a local “Google translator” version. According to San, they’ve created a Luganda Glossary but also, he says “there’s content that needs to be translated and another that needs to be created” – implying that creation of local content could be more feasible than translating already existing web content into local languages. The dream of a localized web comes at a time when the region is experiencing a rapid adaption of internet technologies and when more and more businesses are getting a web presence. A localized web will not only foster rapid economic growth as more people who were previously marginalized because of their limited ability to read/write English, now obtain access to this vast sea of human knowledge, but will also bridge the digital divide, provide a communication platform for the masses, and hopefully keep the government more accountable to their citizens.